When it emerged in the aftermath of the 86th Academy Awards ceremony, the Ellen Oscars selfie became the most re-tweeted picture in Twitter history. It’s not hard to see why. Talk show sensation Ellen DeGeneres was joined by a panoply of stars including Jennifer Lawrence, Brad Pitt, Bradley Cooper and Meryl Streep – what other selfie in history can boast so many famous faces? After the hype died down, however, it was revealed that the snap was an advertising stunt for Samsung. Does that lose the photo its place on our list? Negatory. A selfie is almost invariably about the subjects of the image, but sometimes you might just get lucky and capture something even more interesting in the background. Australian Commonwealth hockey player Jayde Taylor snapped what is arguably the most unlikely photobomb of all time when the Queen strolled into shot while Jayde was taking a selfie of herself and a teammate. After Jayde shared her shot (under the hashtag #sheevensmiled) her photo created a mini-meme, with other Commonwealth athletes striving to capture the queen in the background of their own selfies. Jayde’s shot, though, remains the original and best. We mentioned earlier that the selfie has become a global sensation, and we’re not wrong. Even animals are getting in on the act. 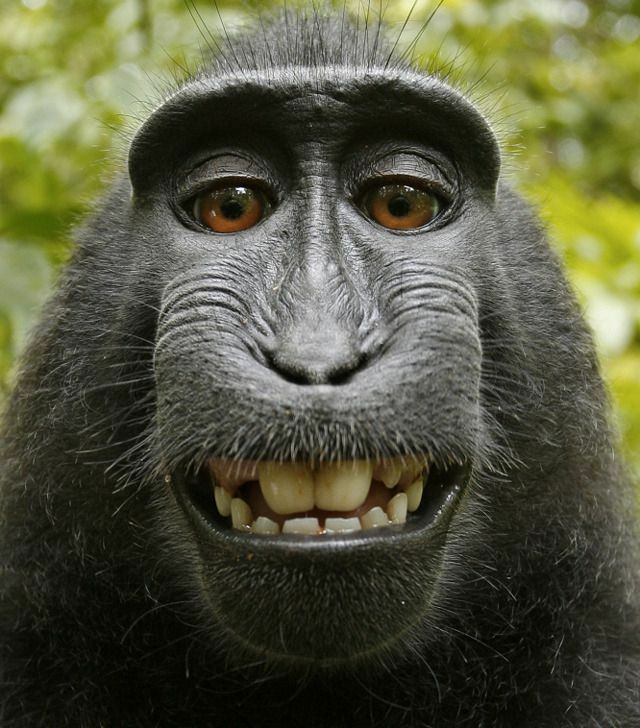 This now-famous image shows a Celebes crested macaque grinning into the camera lens after taking an accidental selfie. The camera belonged to British photographer David Slater and was pinched by the macaque – with hilarious results. The subsequent selfie broke the internet, but unfortunately for Slater he can’t claim ownership of the photos – the US Copyright Office ruled that photographs created by animals can’t be copyrighted! Selfies are being taken in every country on Earth, and even animals are getting in on the act. Surely there are no more frontiers left to conquer? Tell that to NASA astronaut Mike Hopkins. 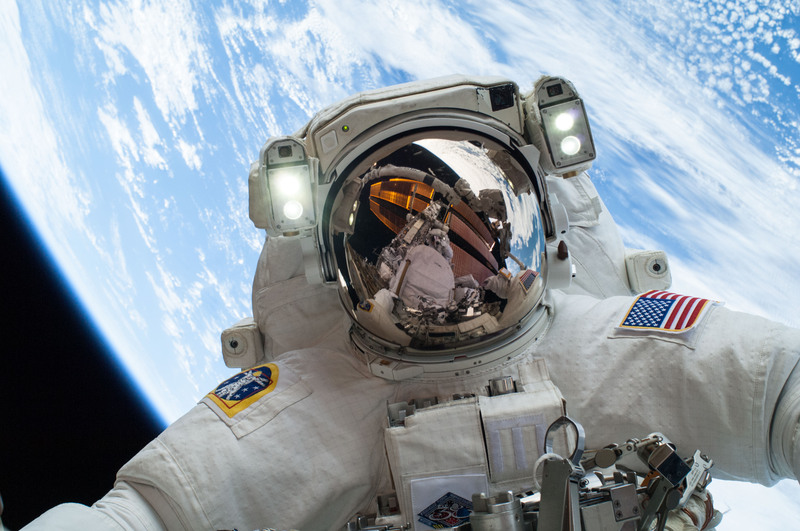 During a spacewalk on Christmas Eve 2013, Mike took a selfie that’s truly out of this world. With the Earth in the background, Mike’s shot is one of the most beautiful, profound selfies of all time. This image sure takes some beating! A good selfie really can break the internet. Here at Showtime we think that no party or event can be complete without a few good selfies to remember it by – that’s why we offer London photo booth hire services to make your events more memorable than ever. Forget blurry smartphone pics – photo booths are the way forward. Contact us today to find out more about our photo booth hire packages or visit our website for more information!